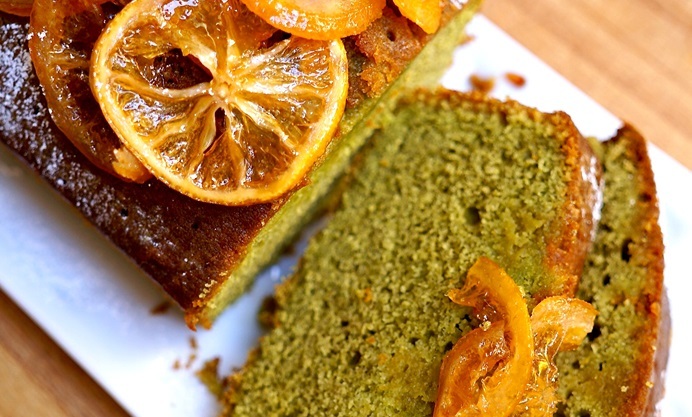 Elly adds matcha to her version of the classic lemon drizzle cake to give it a wonderful colour and subtle green tea flavour. 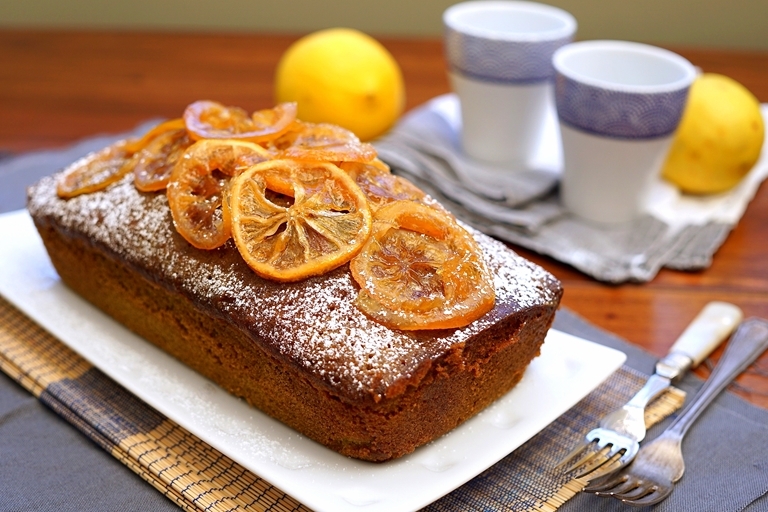 The result is a deliciously moist cake with a sweet citrus flavour. With its fragrant lemon syrup, sticky candied citrus and emerald green crumb, this is a grown-up version of the classic lemon drizzle cake. Matcha adds both an incredible colour – this is undoubtedly one of the prettiest cake batters you’ll ever make – and an aromatic, slightly herbal flavour that works beautifully with the lemon. The cake is beautifully moist with a soft crumb, and although it isn’t too sweet in itself, it’s drizzled with a dark, rich lemon syrup, given a flavour boost from whole lemon slices and a smattering of sugar. The candied lemon slices are easy to make but add a beautiful decorative touch, elevating this to a special occasion cake, although it’s fabulous at any time of day with a cup of tea. The cake is incredibly simple to make, but packs a sophisticated flavour punch. If you’re a fan of lemon green tea, this is your favourite beverage in buttery cake form, and if you’ve never tried baking with matcha, this is an easy and delicious introduction.